Join 5,723 other smart owners and managers who learn about proven property management tactics. Learn about property management tactics. This is a guide on how tenants can troubleshoot common electrical issues that may arise. 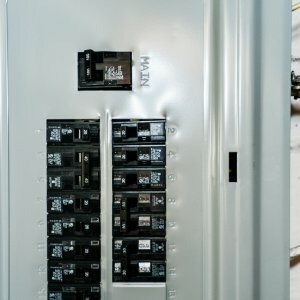 These electrical issues are common requests that can be resolved without an electrician. Please review the below steps before submitting electrical maintenance and repair requests on Hemlane. Open the panel, a list of breaker functions should be listed on the back of the door inside the panel box or identified beside each breaker. Identify the proper breaker and try turning it off and then on again. The GFI outlet looks different than a standard outlet, because it has two buttons between the top and bottom outlet. It is most commonly found in the kitchen or bathroom near the sink. One of the two buttons is identified as a reset button. 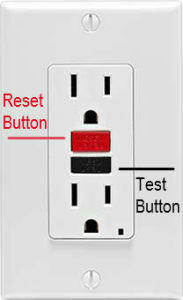 Try to push the reset button to get your outlets working again. If that does not work, check any additional GFI outlets in the residence. If it is not fixed, then submit a request. Take out the old light bulbs (hold onto the light bulbs to find similar ones) and replace with new light bulbs. Unless the light bulb was burnt out upon move in, it is the tenant’s responsibility to replace it. Also check the lease for further instructions regarding replacement procedures and requirements. Open the panel, a list of breaker functions should be listed on the back of the door inside the panel box or identified beside each breaker. Identify the proper breaker and turn it off and then on again. If the entire house or building is out, then it is most likely due to a power outage. Elevating real estate investors from operating an administrative-intensive landlord shop to managing a successful and stress-free investment.